The Japanese word Reiki is usually translated as ‘Universal Life-Force Energy’. Reiki is a safe, gentle, non-intrusive ‘hands on healing’ technique, which uses spiritual energy, transferred from practitioner to client, to treat physical ailments without using pressure, manipulation or massage. However, it is much more than a physical therapy. It is a holistic system for balancing, healing and harmonizing all aspects of the person on all levels; physically, mentally, emotionally and spiritually. Reiki has several basic effects: it brings about deep relaxation, balances the whole body, clears energy blockages, enhances the immune system, detoxifies the system, relieves stress and anxiety, and provides new vitality in the form of healing universal life energy, Reiki also increases the vibrational frequency of the body enabling you to see deeper insights and open to more choices to achieve a fulfilling and balanced life. The method of receiving Reiki is simple. The recipient remains clothed and lies on a massage table or sits on a chair and relaxes. The practitioner gently places their hands in a series of non-intrusive positions on or near the body. There is no massage or manipulation. The whole person is treated rather than specific areas. Sessions can take around one hour, depending on the client’s needs. Clients may or may not feel sensations during a Reiki treatment. Benefits reported by recipients include a reduction of pain in certain places, and almost always a deep relaxation promoting a calm, peaceful sense of well -being on all levels. Some people feel sensations of heat, tingling, or experience seeing colours, whilst others may sense a clearing of some mental or emotional confusion. Occasionally people notice old symptoms surfacing in what is known as a ‘healing reaction’ which passes quite quickly and is a good indication that shifts are taking place, allowing harmony to be restored. Comforting when life is tough The relaxing nature of Reiki can be very helpful to people especially at difficult times in our lives. We can all feel overwhelmed or disconnected, sometimes there is a real sense of isolation, both emotionally and spiritually. Reiki treatments can bring feelings of peace, centeredness and an ability to cope better with the challenges of life. Reiki can be beneficial in circumstances that are short term, but can also support people dealing with long-standing conditions, helping to bring comfort, acceptance and a more positive outlook. Supportive during pregnancy Reiki can be wonderful for pregnant women. Treatments can be very relaxing and enjoyable for the mother and baby alike. Calming for children Children usually love Reiki. The length of a session is often shorter than it would be for an adult. Helpful at the end of life In such cases Reiki can be a great comfort, helping to promote a sense of peace and acceptance for the dying and their families. How much Reiki would I need? This varies from person to person. A single session may be sufficient, however, healing is a process rather than an event so follow up treatments may be needed for chronic or acute conditions. For instance, if you have long standing emotional or spiritual issues, a series of sessions may be beneficial. In general if you find that helpful changes are taking place, it is a good idea to continue treatment. 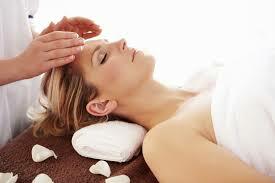 A healing session includes a Reiki ‘hands on healing’ treatment. How do I book for a session? Please contact us by telephone or email to confirm your preferred date and time PRIOR to making a payment as subject to availability.